Within Christianity, there are three basic groupings concerning the composition of the Godhead. There are trinitarians, binitarians and unitarians or ‘oneness’. Trinitarians hold that the biblical testimony reveals that the term ‘God’ is applied to three distinct persons, described as Father, Son and Holy Spirit. The vast majority of Christian churches are trinitarian. It is very useful to bear in mind that in the New Testament when the word ‘God’ appears, unless the text or context suggests otherwise, it is the Father that is meant. Binitarians argue that the biblical testimony reveals that the term ‘God’ is applied to two distinct persons, described as Father and Son. For binitarians, the Holy Spirit is God but not a person, just simply the presence of Jesus in the world today. Garner Ted Armstrong’s group, The Church of God International is binitarian. Unitarians or ‘Oneness’ believers argue that the biblical testimony reveals that the term ‘God’ is applied to one person only who manifests at different times as Father or Son or Holy Spirit. Oneness groups would be most (though not all) of the churches that call themselves Apostolic. These churches are popularly called ‘Jesus Only’ by others but the term they use of themselves is Apostolic or ‘Oneness’. In passing let me note that the Jehovah’s Witnesses do not technically fall into any of the traditional camps just mentioned because they hold that only the Father is God, Jesus Christ being only a created being or ‘elevated creature’ of great significance and the Holy Spirit being neither God nor a person but simply a force comparable to a radar beam. 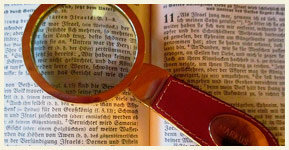 How might one begin to approach the biblical testimony concerning the Godhead? One useful approach might be to ponder what we would expect to find in the language and ideas of the various biblical writers if they wanted to convey the idea of a trinity or binity or ‘oneness’. So we might try to answer the question, “What would I expect to find in the Bible if the writers believed that God was multi-personal?” This question seems reasonable because if the writers, generally, believed in a multi-personal God then their language and ideas would reflect that belief. This question would suit both trinitarians and binitarians. On the other hand we might try to answer the question, “What would I expect to find in the Bible if the writers believed that God was uni-personal?” This question is also reasonable because if the writers, generally, believed that God was digitally, one, then their language and ideas would reflect that belief. This latter question would suit our ‘oneness’ brethren. Before we explore some of the biblical evidence let it be clear that all three groups, trinitarians, binitarians and unitarians claim a belief in only one God consistent with the testimony of the Bible. How though is this oneness of God expressed in the language of scripture? Let’s begin with the Old Testament. There are about nine Hebrew words which are at times translated by the word ‘one’, but only two of these would be relevant to our exploration of oneness and the Godhead. The two Hebrew words are YACHID and ECHAD. (The ‘ch’ is each word is pronounced like a guttural ‘k’ not like the ‘ch’ in cheese). Yachid means one in a solitary, digital sense, it is one ‘deggeh, deggeh’ as we would say in Jamaica. Echad, on the other hand, means one in a complex or compound sense, this word suggests the unity that results from combining plural entities. Interestingly, the Old Testament writers never use yachid to describe God! That fact, on the surface, would suggest that they did not believe in God as a solitary, digital, ‘deggeh, deggeh’ person. What we do find is that echad is used to describe God, which would be expected if the writers believed in a multi-personal God. Take the case of the classic passage on the oneness of God in Deut. 6.4, a fundamental passage for Jews then and now. The text reads, in transliterated Hebrew then in English, “shema Yisrael, Yahweh Elohenu, Yahweh echad.” “Hear O Israel, the Lord our God is one Lord.” The word for one in the text is echad not yachid. To appreciate the force of echad as composite unity or compound oneness we would need to see its usage in a few passages. In Gen. 2.24, Adam and Eve are described as being ‘one flesh’, echad is used; two distinct persons forming a mystical but real unity. In Gen. 3.22, God said “…the man has become like one of Us…’ echad is used; several distinct persons sharing oneness or alikeness in the knowledge of good and evil. In Gen. 11.6, the people were ‘one’, echad again; many individuals agreeing on a common goal. The point we have been making here is that the Hebrew word describing God’s oneness is a word consistent with the multi-personal nature of the one God. Related to this issue of the terms used to describe God’s oneness would be the nouns, pronouns, adjectives and verbs used in reference to God. If God is digitally one or one ‘deggeh, deggeh’ then we would expect to find the biblical writers using only singular words in their description of God. However, if the one true God is multi-personal we would expect to find both singular and plural words used to describe God depending on which member or members of the Godhead is/are being spoken of. The fact is that the biblical writers used both plural and singular words to describe God. The two most popular words translated as God in the English Bible are Elohim and Adonai and both are plural words. In Job 35.10, Psalm 149.2 and Isaiah 54.5, God is described as ‘Maker’ and the Hebrew word is a plural. Ecclesiastes 12.1, calls God ‘Creator’ with a plural Hebrew word. It is difficult to make sense of these plural words used to describe God if you are of the ‘oneness’ persuasion. The standard explanation offered by unitarians is that these are examples of the ‘plural of majesty’. The only problem for this explanation is that Classical Hebrew had no such concept as a plural of majesty! Further, even if Classical Hebrew had the concept of a ‘plural of majesty’ it could only be applied to direct speech words like ‘we’ or ‘our’ or ‘us’ and could not apply to a writer’s plural description of God as Creator or Maker. There is much more in the Old Testament to support the multi-personality of God, including the fascinating evidence of the appearances of God in human form especially under the name ‘the Angel or messenger of the Lord’. Indeed it is not simply the multi-personality of God that is suggested in the Old Testament but there are passages that hint at the trinity (see Is. 48.16; 61.1; 63.9-10). Before moving to the New Testament I would ask you to ponder the plurality of persons implied in Daniel 7.13-14, where both the ‘Ancient of Days’ and the one like ‘a Son of Man’ are described in terms which suggest that they are both God. As we come now to the New Testament evidence I want to quickly dispose of the binitarian argument that the Holy Spirit is God and personal but not a person. It is sufficient to ask for a logical explanation of how the Holy Spirit could be personal without being a person. Jehovah’s Witnesses who argue that the Holy Spirit is simply a force just like a radar beam would be hard-pressed to explain the fact that Acts 5.3-4 refers to the Holy Spirit as God and they must be tongue-tied in any attempt to explain Mt. 12.31-32, where blasphemy against Jesus, a person, is pardonable but blasphemy against the Holy Spirit (a thing, according to them) is not pardonable!! Father, Son and Holy Spirit appear in the New Testament as separate persons, or entities if you like, and each is called God (see ‘God’ as a kind of generic term or title). The Father is called God in Jn. 6.27, the Son is called God in Heb. 1.8 and the Holy Spirit is called God in Acts 5.3-4. Father, Son and Holy Spirit are clearly distinguished from each other in passages where they appear together, like Mt. 3.16-17, the baptism of Jesus. If Jesus is Father, Son and Holy Spirit then these verses constitute a hopelessly convoluted way of talking. On the ‘oneness’ perspective Jesus would be praying to himself to send Himself as the Holy Spirit in His name. Our Lord would need several lessons in the use of language if he believed what the ‘oneness’ brethren believe. For me, one of the cutest passages on the personal difference between the Father and the Son is Jn. 8.13-18. Ponder it. If Jesus were Himself one and the same as the Father then His logic would have been worthless. The force of his argument in the passage is that two persons are required, by Jewish legal traditions, to confirm a matter. The two that function in Jesus’ argument are Jesus Himself (one) and the Father (two). But I can hear a ‘oneness’ believer urging me to deal with Jn. 10.30, which says, “I and the Father are one.” This brings us back to the issue of words for ‘one’, the very issue with which we began. This time we are dealing with Greek not Hebrew. The wider context of Jn. 10.30 must be read and understood. “I and My father are one” has nothing to do with identity or sameness of person but unity of purpose because the Greek word for ‘one’ is not the masculine form but the neuter and moreover the verb is plural, so an explanatory reading would be, ‘I and My Father, we are one [in essence and in the enterprise of securing the sheep]’. Let me state clearly what everyone should know. To be one with someone does not mean that you are one and the same as that person. Jn. 17.20-23 is helpful in this regard and is chock full of embarrassing statements for those who hold to the ‘oneness’doctrine. Ponder that text. The word for ‘one’ is the same neuter form that we found in Jn. 10 and has nothing to do with identity of person but speaks of unity despite plurality or diversity. What have we seen then in this brief study? Simply this and I hope profoundly this, that the Old Testament bears clear unanimous testimony to the one God as multi-personal and the New Testament clearly affirms that God is a trinity or tri-unity of persons. I am indebted to Robert Morey’s book on the trinity for the approach taken here.